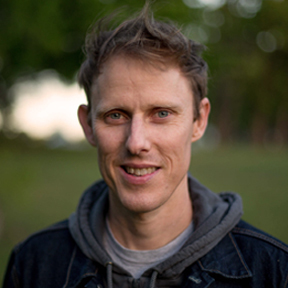 John Fiege is a director, cinematographer, and photographer whose films have played at SXSW, Cannes, Museum of Modern Art, Hot Docs, and many others, and received distribution on iTunes, Netflix, Amazon, and other platforms. His latest film, Above All Else, is a feature-length documentary about the Keystone XL pipeline that premiered at the SXSW Film Festival, with an international premiere at Hot Docs. The film won Best North American Documentary at the Global Visions Festival and a Special Jury Prize at the Dallas International Film Festival. Mississippi Chicken, his intimate portrait of immigrants working in the poultry industry, was nominated for a Gotham Award for “The Best Film Not Playing at a Theater Near You.” His short film, Slow Season, about a father and son’s memories of the BP oil spill, premiered at Austin Film Festival and screened in many coastal areas threatened by oil and gas exploration, as part of a Working Films community screening tour, called Shore Stories. He photographed the Sundance documentary selection, No No: A Dockumentary. He holds a BA from Carleton College, an MS in cultural geography and environmental history from The Pennsylvania State University, and an MFA in film production from the University of Texas at Austin, where he also works as a lecturer. Christopher Lucas has a background in broadcast news, produced Fiege Films' Above All Else, and has worked on numerous commercial projects as writer, director, or producer. He was a writer and researcher on Living Spring, an interactive environmental documentary about Barton Springs in Austin, Texas. In 2011, he was awarded a doctorate in media studies from the University of Texas, where he also co-founded Flowtv.org, an online forum for media criticism. He holds an appointment as Visiting Professor of film and new media at Trinity University in San Antonio, Texas. Liz has been working as an editor on numerous independent film projects since moving to Austin in 2011. She served as a co-editor + associate producer for Above All Else and most recently edited Deborah Esquenazi's Southwest of Salem: The Story of the San Antonio Four, which premiered at this year's Tribeca Film Festival. She's worked for Bob Byington as an assistant editor for 7 Chinese Brothers (SXSW '15) and as a DIT for Infinity Baby, starring Nick Offerman + Kieren Culkan. She holds a B.A. in English from the University of Florida.